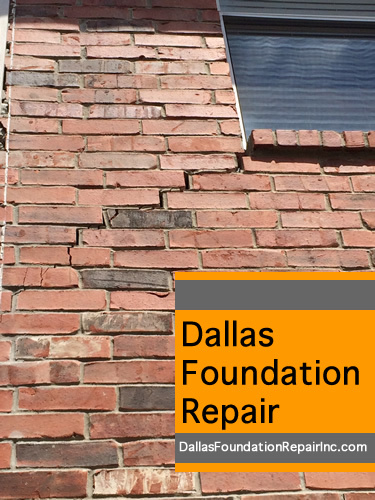 Dallas Foundation Repair Inc. – Brick Separation = Foundation Problems? 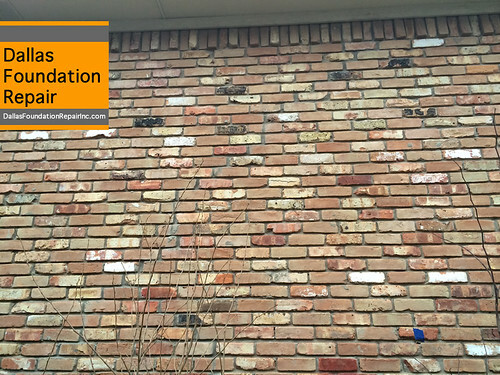 Brick Separation = Foundation Problems? 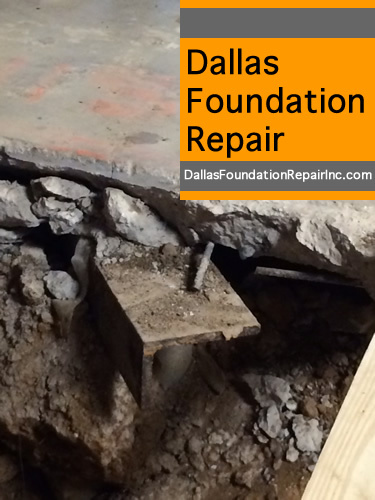 When we evaluate possible foundation problems, one of the first thing we do is walk around the residence foundation to look for obvious signs of foundation shifting or cracking. 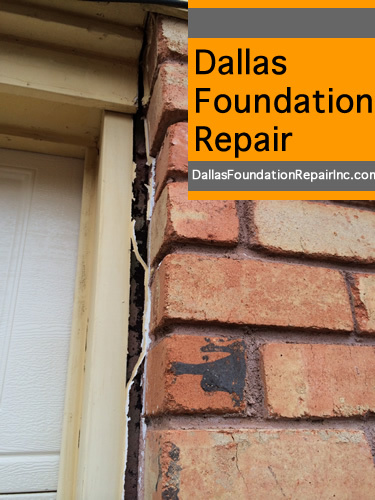 One of the most dramatic symptoms are the brick separating along the mortar lines. 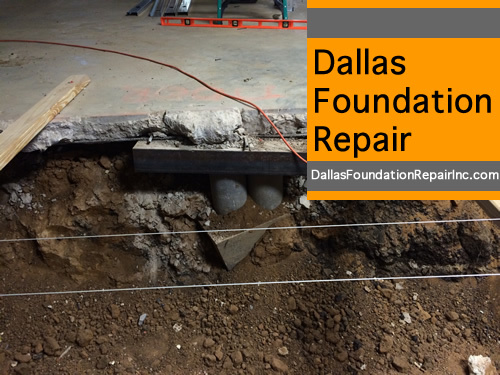 For example, in this recent job we performed in Dallas (see below), the separation is very obvious. 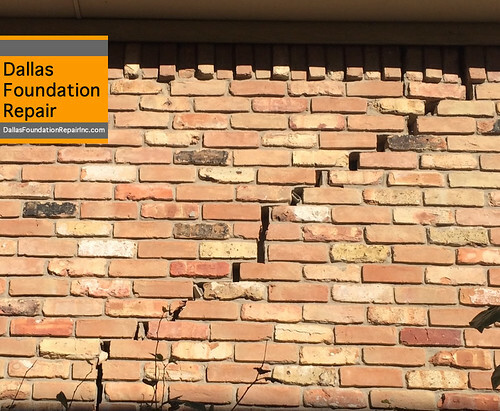 The foundation slab had a crack and the front of the house was dropping off dramatically. The wall before was on the side of the house. 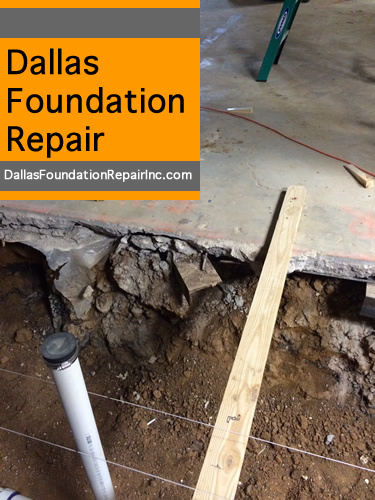 After completing the foundation repairs with several piers, mud-jacking and refilling the slab to level conditions, we repaired the wall and regretted the bricks. 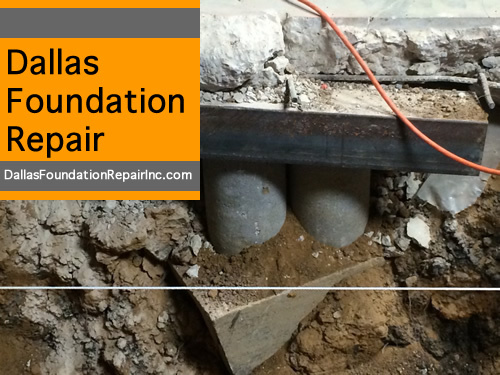 Can you tell where the repairs were done? Yes, that is the same wall (just different weather conditions). This customer was very happy and the repairs were not as expensive as he originally thought. 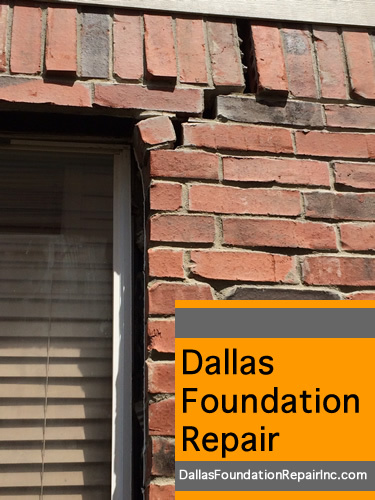 Many times the cracks are not as evident as the photos above but they will eventually get to that stage. 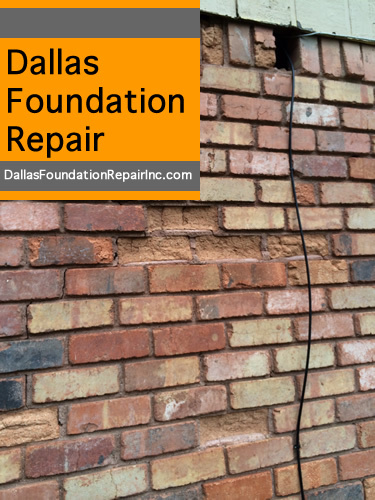 Take a walk around the house and look closely for cracks on the perimeter of the slab and along the bricks grout lines. If you have any doubts about what you see, you can always get in touch with us for a free evaluation of your current condition.